Federation staff believe we can all #EndMS! For years, we have partnered with the Multiple Sclerosis Society of Canada – Alberta and Northwest Territories Division. 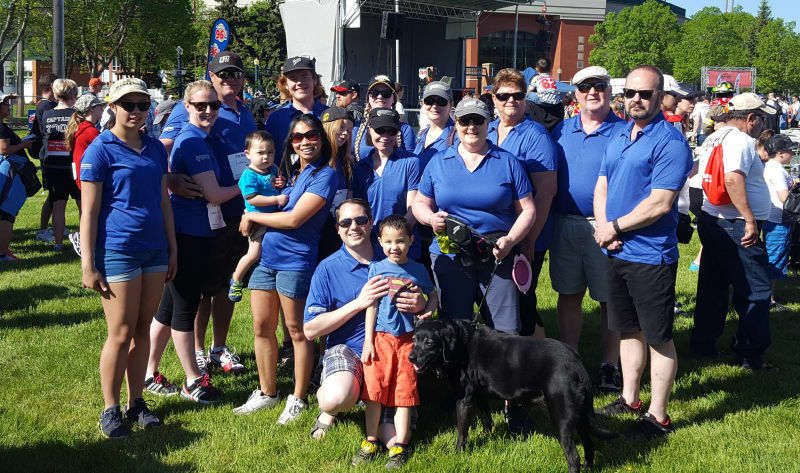 Our staff took that to another level with their participation in the Edmonton MS Walk! We are back at it again for the 2018 Edmonton MS Walk! We hope everyone can support us by donating through our FedGas Fights MS Team Page! We started off with the 2016 MS Walk on a general team, and were so overwhelmed by the great people contributing that for 2017 we created our own team – FedGas Fights MS! We had 14 walkers (plus one dog!) joining our team, and raised almost $3000 for the MS Society!!! This past May, over 1,500 walkers came out for the 2017 event, and the weather was fantastic. Together, the 184 teams managed to raise over $390,000!!! More importantly, it was amazing to see people with MS overcoming their obstacles to join all the walkers in the fight to #EndMS! The dollars raised are invested in world-leading MS research happening right here in Canada. It’s an exciting time for MS research, and donations help improve the quality of life of Canadians affected by MS today, and those who may receive a diagnosis tomorrow. Since 2010, Battle River Gas Co-op Ltd. Manager Wayne Shoemaker has been cycling for Multiple Sclerosis. 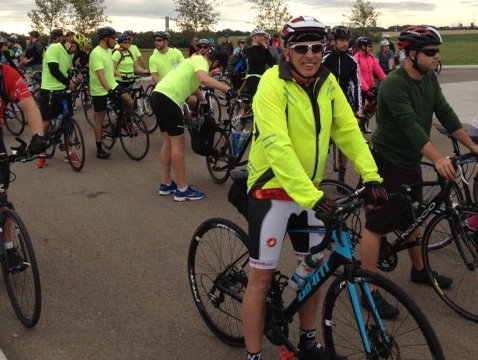 Wayne takes part in the MS Bike Tour in both Leduc-Camrose and Red Deer. Since his first ride, Wayne has managed to raise over $30,000 and is one of the MS Bike Tour’s top 100 fund-raisers! This past June, the Johnson MS Bike Tour from Leduc to Camrose raised over $2 Million! Canada has one of the highest rates of multiple sclerosis in the world. Typically, it strikes people between the ages of 15 to 40 and there is no cure. The MS Society of Canada works to ensure that no one faces MS alone. MS Society volunteers and staff provide information, support, and educational events and other resources for people with MS and their families and work to change government practices. Their work has helped Canada to be at the forefront of MS research, with the Society having invested over $140 million in research since 1948. With each passing year, research continues to reveal new knowledge around the cause of MS, as well as the mechanism by which MS impacts the central nervous system. Twelve years ago, Len Spratt decided to jump in to the Kids With Cancer Society’s Tour of Hope bicycle ride. He admits he had little knowledge of what the ride was about, but he fell in love with the event and has made it his personal mission. Over the years, the Kehewin Gas Utility manager has become a Ride Leader and a Business Consultant with the Tour of Hope. With 12 rides under his belt, Len has been able to raise over $80,000 for the Kids With Cancer Society! Len credits the ingrained desire of rural Alberta to help others in need as the key to his success, with a culture of generosity that extends through the rural gas co-ops, the Federation of Alberta Gas Co-ops, and Gas Alberta Inc.